Have a taste for tearing apart malware? Then you have probable played with Cuckoo Sandbox. If not, it is really time to take a poke at it. Last month the developers posted the latest iteration of their application, version 1.1. To get an idea of the changes that have been introduced in this iteration have a look at the change log. 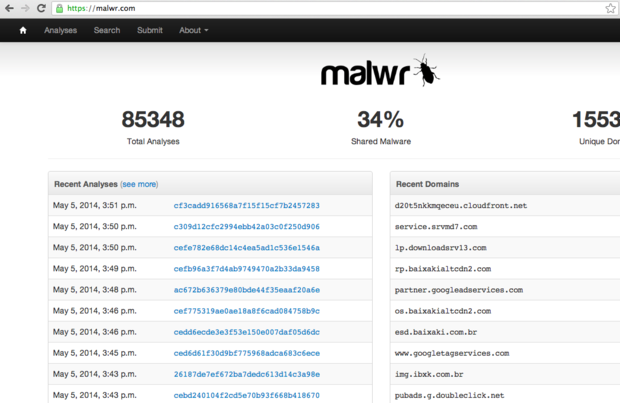 Not only is this a wonderful tool it is also the underlying software that drives the malware analysis website Malwr.com. If you have any interest in malware analysis at all, these are a couple of tools that you should absolutely try out.